A fresh take on cranberry sauce that is perfect for the holidays! Our brand partner, Chelan Fresh, shared this incredible recipe for Cherry-Cranberry Sauce with us and we want to share it with you! Freeze cherries during the cherry season and save them for use during the holiday season. Cherry-Cranberry Sauce is a welcome change to the traditional cranberry sauce typically found on the Thanksgiving and Christmas dinner table. It is bright, sweet, and full of holiday spices like nutmeg and cinnamon. Cherry-Cranberry Sauce can also be served on top of brie. Its deep red color against the white brie is as striking as it is delicious. Or, serve this sauce on top of french toast for a special breakfast experience. Learn how to freeze cherries here. Watch The Produce Moms’ Brand Ambassador Candace Boyd of Foodlovetog make cherry-cranberry sauce during an episode of our Facebook Live series. Place all ingredients in a medium saucepan and cook over medium heat. Bring to a boil and stir occasionally. Once sauce thickens, about 10 minutes, remove ginger and add a pinch of salt. Remove from heat. We hope this recipe makes your holidays a little more delicious! 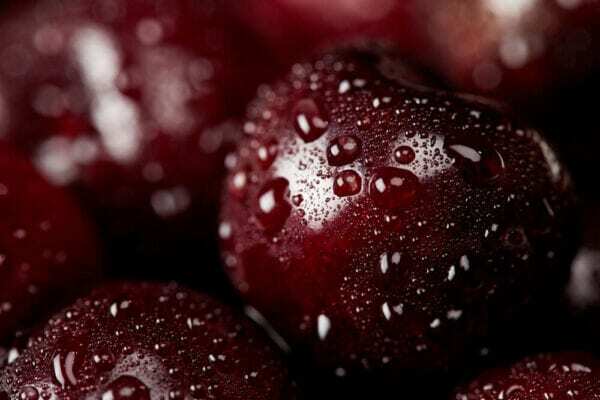 Don’t forget to freeze some cherries during the cherry season so you can enjoy delicious cherries throughout the year!